Helmeted workers spotted the girl buried in the debris early Wednesday and shouted to her to move her hand if she could hear. She did. 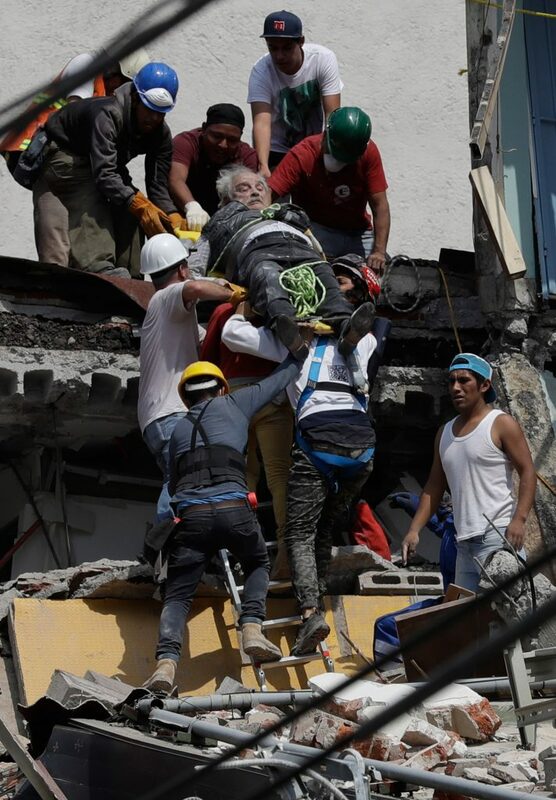 MEXICO CITY — The wiggling fingers of a young girl trapped in the rubble of her collapsed school in Mexico City raised hopes and prodded rescuers to work furiously hour after hour Wednesday in a delicate effort trying to free her from unstable debris — a drama that played out at dozens of buildings toppled by a powerful earthquake that killed at least 230 people. 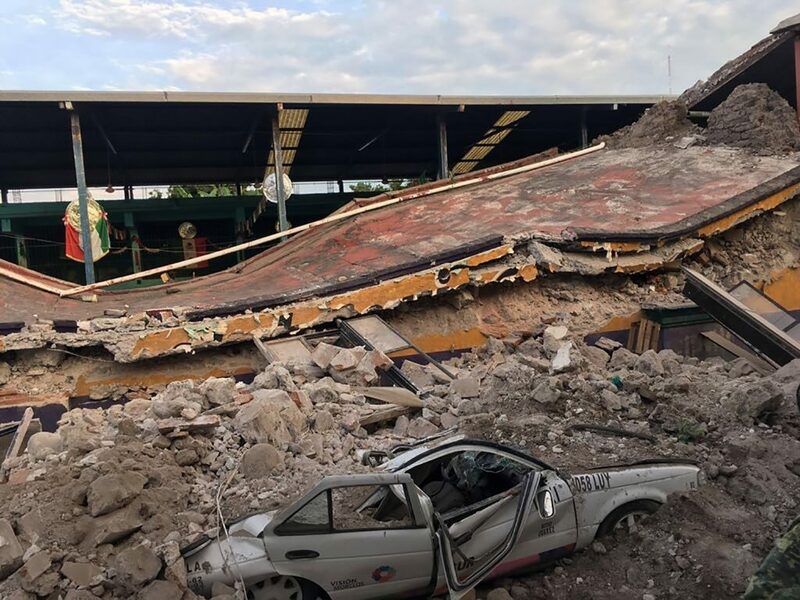 But it was the rescue operation at the Enrique Rebsamen school, where at least 21 children and four adults perished in Tuesday’s quake, that was seen as emblematic of Mexicans’ rush to save survivors before time runs out. 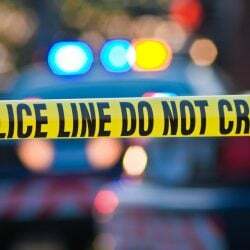 Helmeted workers spotted the girl buried in the debris early Wednesday and shouted to her to move her hand if she could hear. She did, and a rescue dog was sent inside to confirm she was alive. 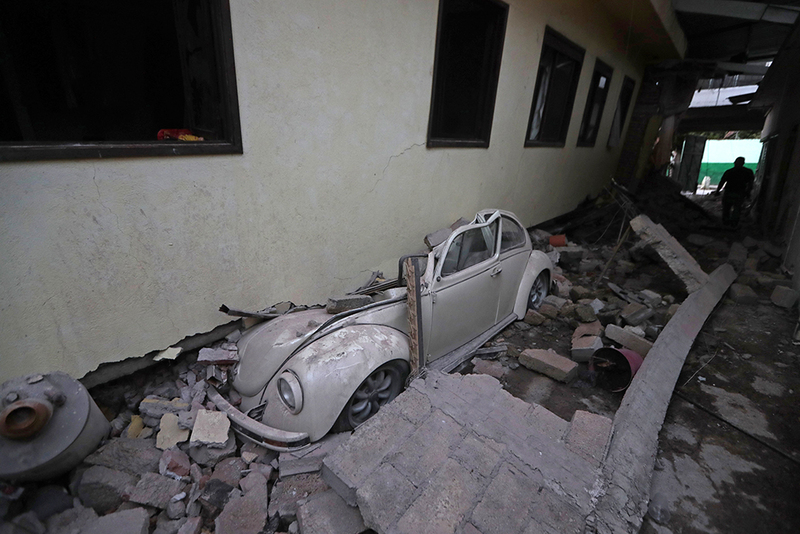 One rescuer told local media he had talked to the girl, who said her name was Frida. Hours later the crews were still laboring to free her as images of the rescue effort were broadcast on TV screens nationwide. 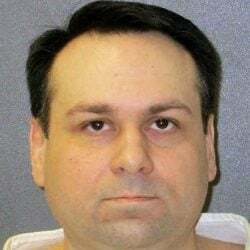 Workers in neon vests and helmets used ropes, pry-bars and other tools, frequently calling on the anxious parents and others gathered around to be silent while they listened for any other voices from beneath the school. At one point, the workers lowered a sensitive microphone inside the rubble to scan for any noise or movement. A rescuer said they thought they had located someone, but it wasn’t clear who. 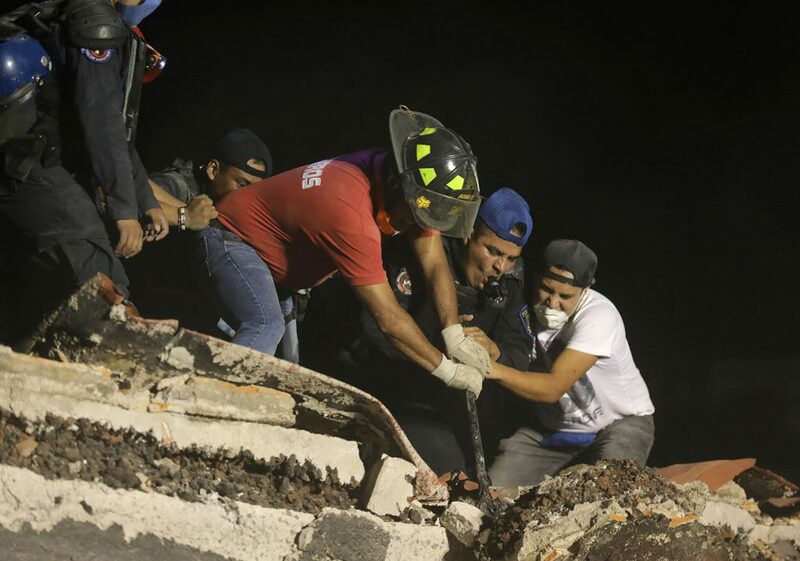 But by late Wednesday night, workers had not been able to get to her, although workers found four corpses in the rubble, volunteer rescue worker Hector Mendez said. 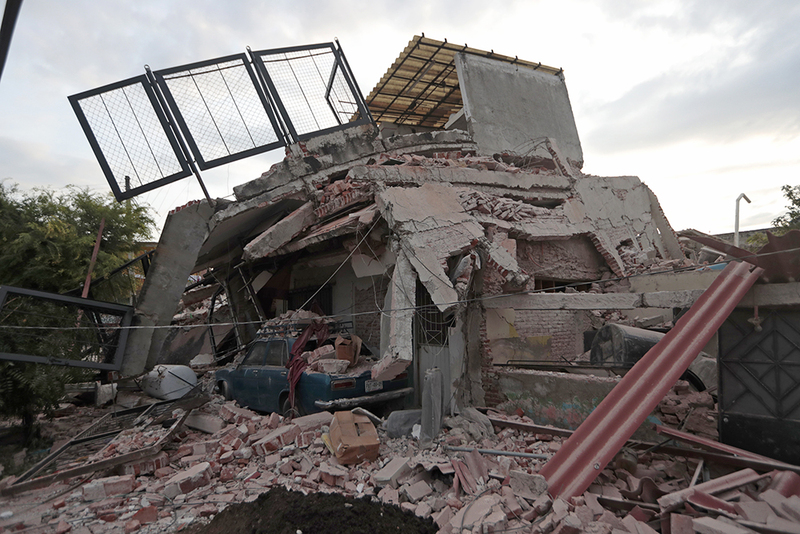 Mendez said cameras lowered into the rubble suggested there might be four people still inside, but it wasn’t clear if anyone beside the girl was alive. 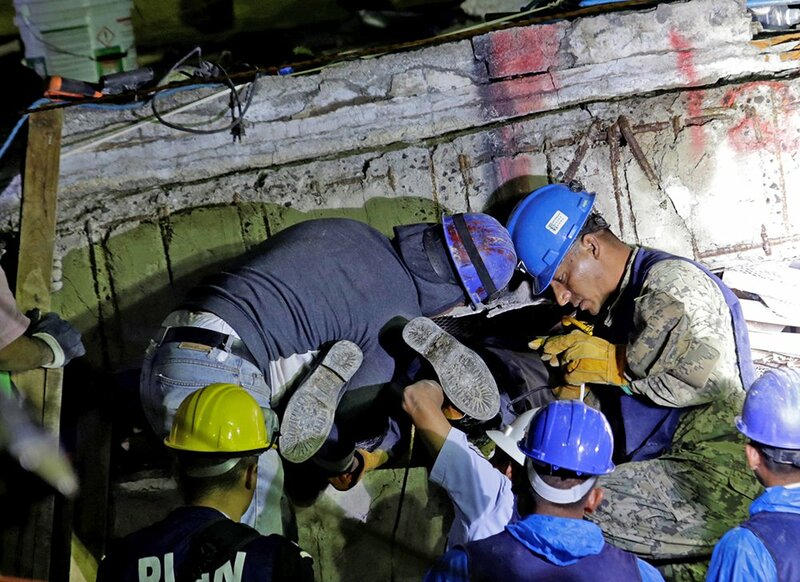 It was part of similar efforts at the scenes of dozens of collapsed buildings, where firefighters, police, soldiers and civilians wore themselves out hammering, shoveling, pushing and pulling debris aside to try to reach the living and the dead. 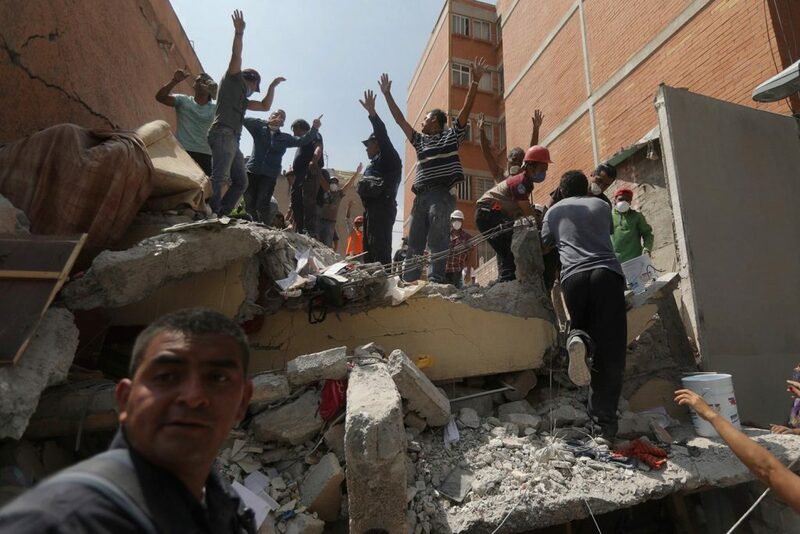 By mid-afternoon, 52 people had been pulled out alive since Tuesday’s magnitude 7.1 quake, Mexico City’s Social Development Department said, adding in a tweet: “We won’t stop.” Among them were 11 people rescued at the Enrique Rebsamen school, where three people remained missing, two children and an adult. 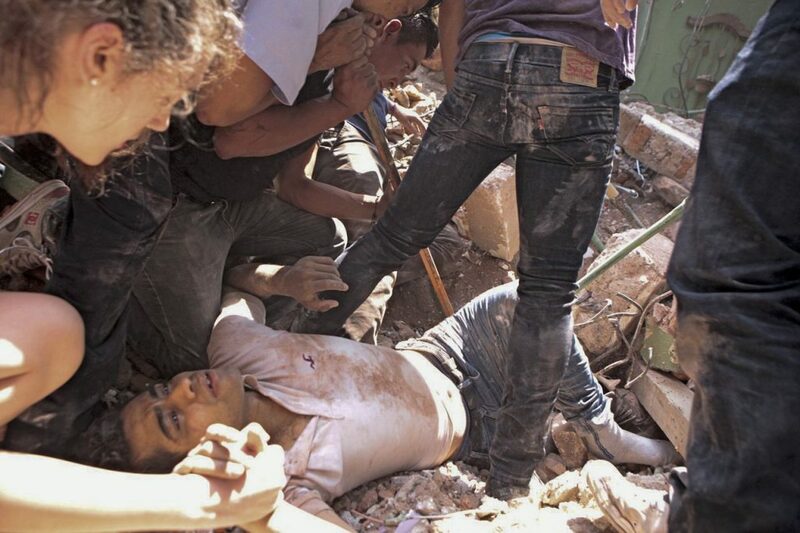 Earlier, journalists saw rescuers pull two small bodies from the rubble, covered in sheets. More than 24 hours after the collapse, the debris being removed from the school began to change as crews worked their way inside: from huge chunks of brick and concrete, to pieces of wood that looked like remnants of desks and paneling, to a final load that contained a half dozen sparkly hula-hoops. 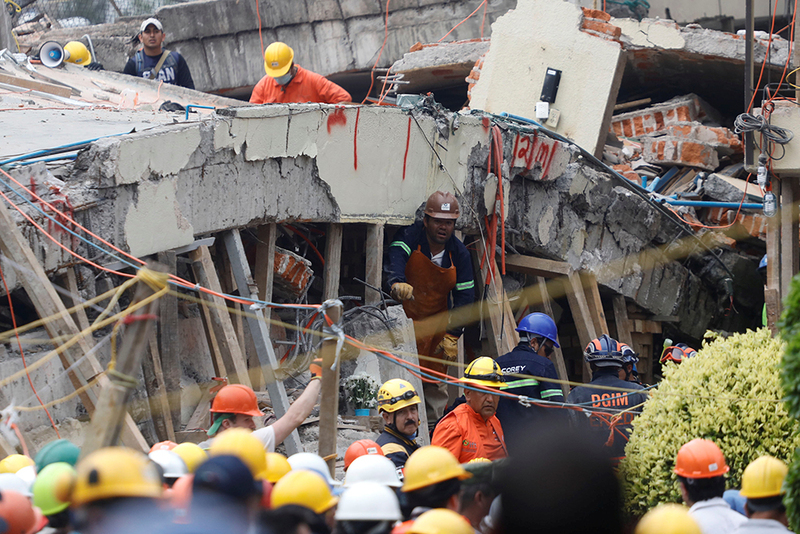 Even as stunning rescues of people continued, such as a man pulled alive from the rubble of a partly collapsed apartment building in northern Mexico City, there was also a rescue of animals Wednesday. 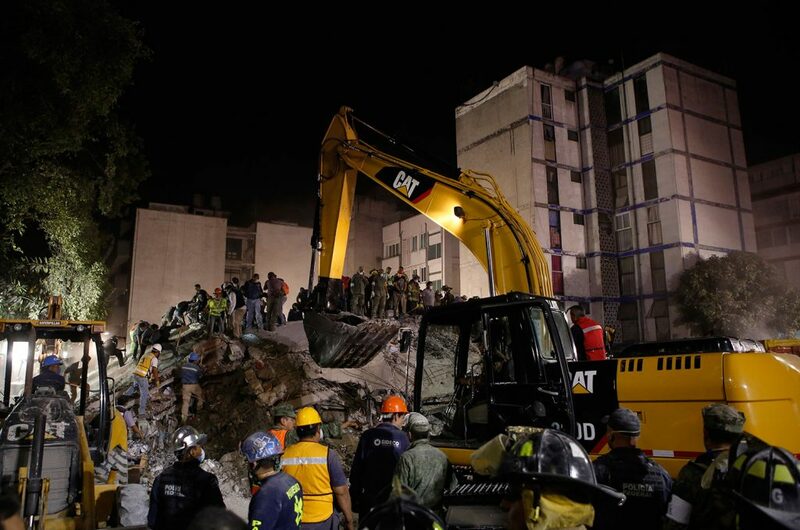 Mexico City police said rescue workers clearing wreckage from a collapsed medical laboratory in the Roma neighborhood found and removed 40 lab rabbits and 13 lab rats used by the firm that had occupied the building, now a pile of beams and rubble. City authorities also announced that quake victims staying at city shelters would be allowed to bring their pets with them, and several community groups have started to collect donations of animal food for affected pets. 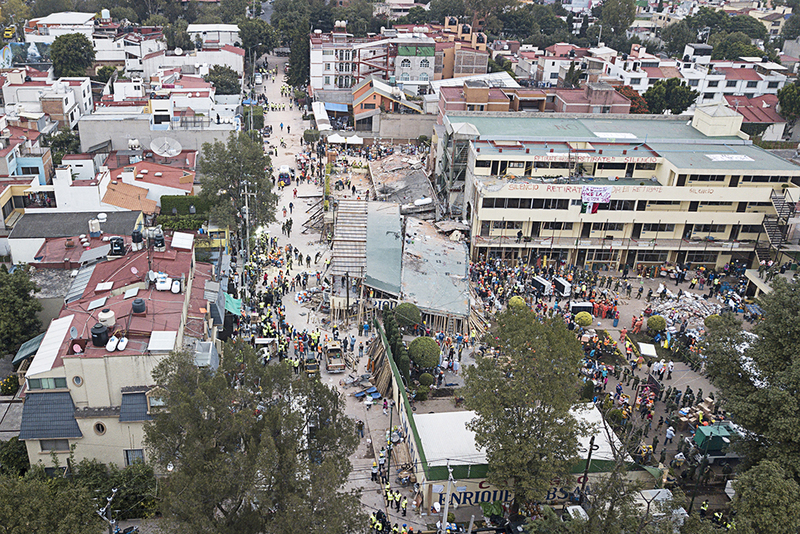 A helicopter overflight of some of the worst-hit buildings revealed the extent of the damage wrought by the quake: three mid-rise apartment buildings on the same street pancaked and toppled in one Mexico City neighborhood; dozens of streets in the town of Jojutla, in Morelos state, where nearly every home was flattened or severely damaged and a ruined church where 12 people died inside. 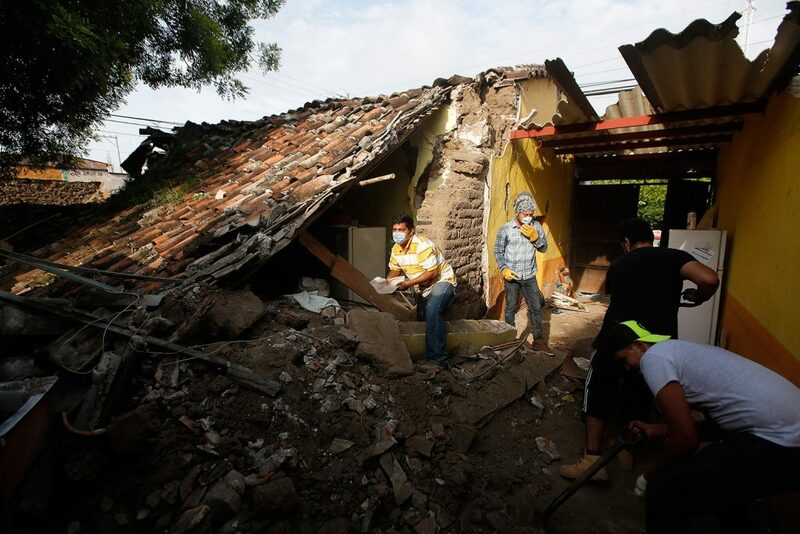 The death toll included 100 people killed in Mexico City, 69 in Morelos state just south of the capital and 43 in Puebla state to the southeast, where the quake was centered. 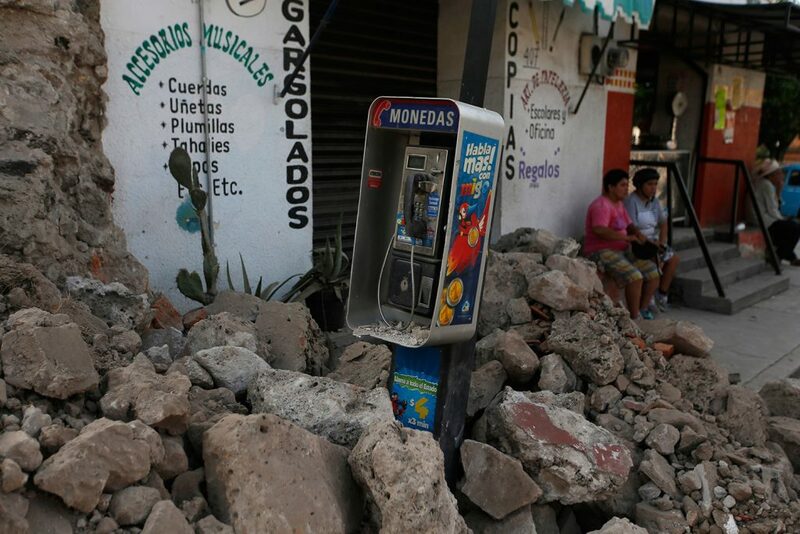 The rest were in Mexico State, which borders Mexico City on three sides, Guerrero and Oaxaca states, according to the official Twitter feed of civil defense agency head Luis Felipe Puente. 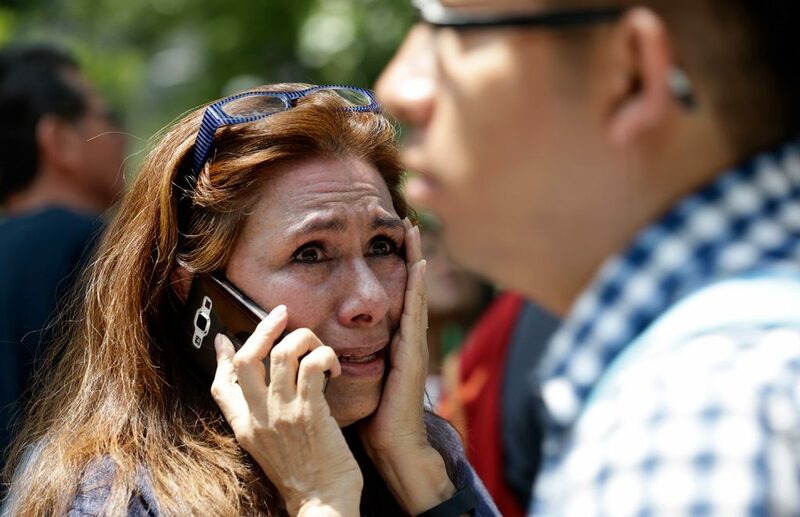 President Enrique Pena Nieto declared three days of national mourning even as authorities made rescuing the trapped and treating the wounded their priority. 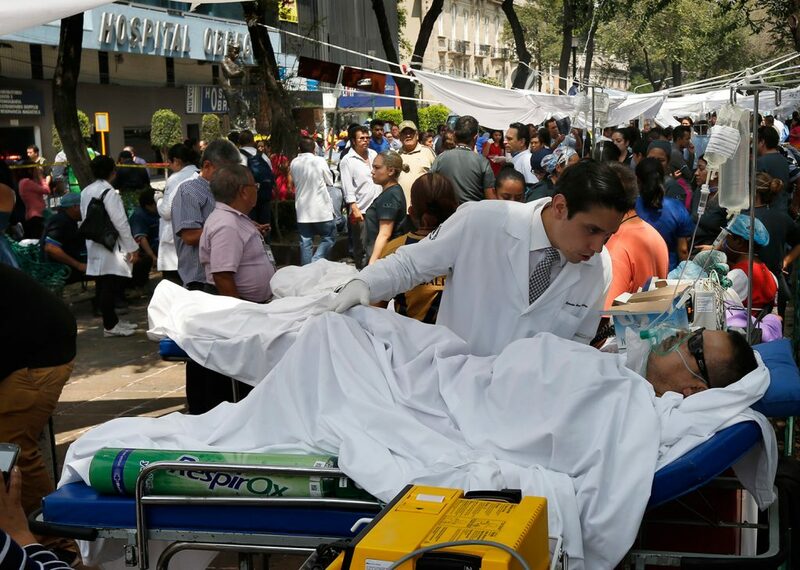 “Every minute counts to save lives,” Pena Nieto tweeted. 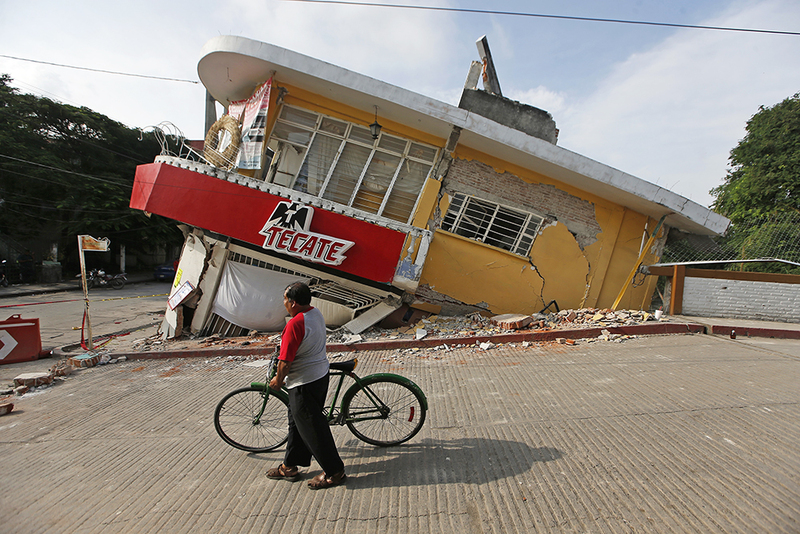 In the town of Jojutla, dozens of buildings collapsed, including the town hall. One building was rocked off its foundations and part way into a river. “It was an ugly and horrible experience. Our house used to be two floors and it ended up … a total loss. I thank God that my 83-year-old mother, my daughter-in-law with her baby, we all escaped with scratches,” said a tearful Maria Elena Vargas, 54, adding that everything they had was in the rubble. “I hope that the government helps us because this block is destroyed, that they do not just profit from others’ pain. … Now we have to lift ourselves up, with or without the government,” Vargas added. 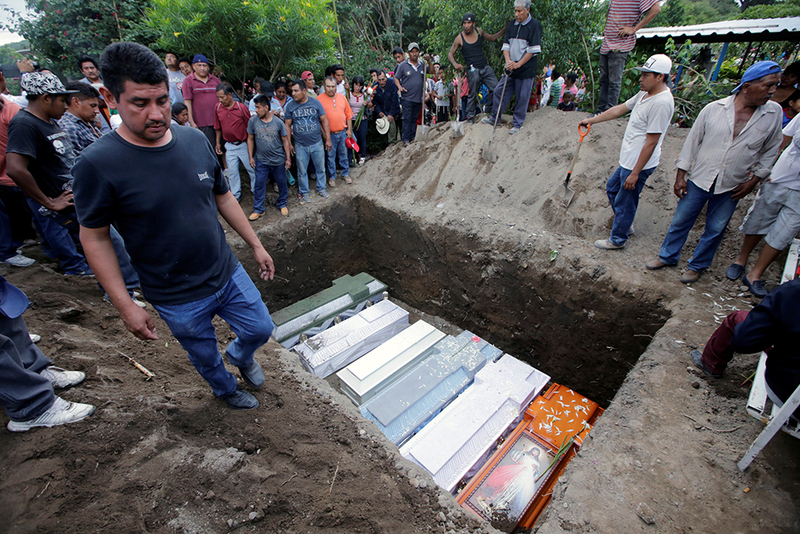 At a wake for Daniel Novoa, a toddler killed when his home collapsed, family members bent over a white child-size coffin surrounded by a crucifix and images of Mexico’s patron, the Virgin of Guadalupe. Alongside was a larger open coffin for the child’s aunt, Marta Cruz. Pena Nieto visited Jojutla and said brigades would be going door-to-door to make sure homes are safe. 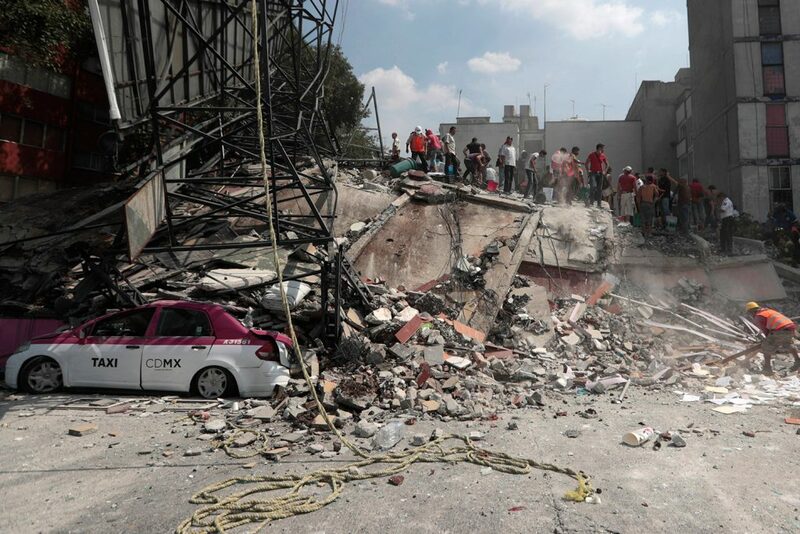 In Atzala in Puebla state, villagers mourned 11 family members who died inside a church when it crumbled during a baptism for a 2-month-old girl. People at the wake said the only ones to survive were the baby’s father, the priest and the priest’s assistant. Power was being restored in some Mexico City neighborhoods that had been left in darkness overnight, and officials reported that the sprawling Metro system was running at near-normal capacity. 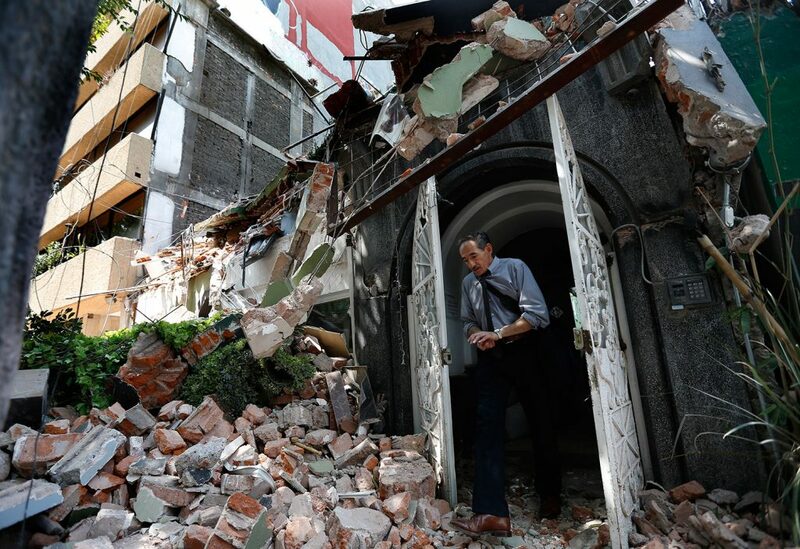 Mayor Miguel Angel Mancera said there were 38 collapsed buildings in the capital alone, down from the 44 he had announced previously. 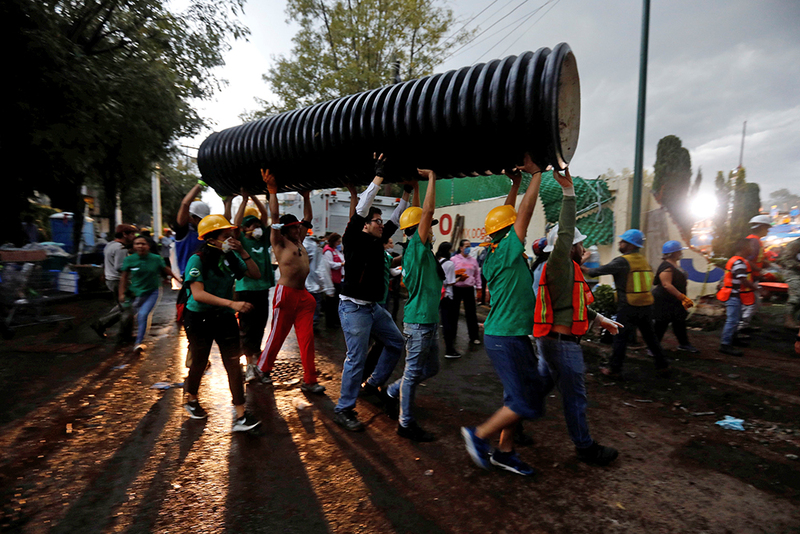 People rallied to help their neighbors in a huge volunteer effort that included people from all walks of life in Mexico City, where social classes seldom mix. 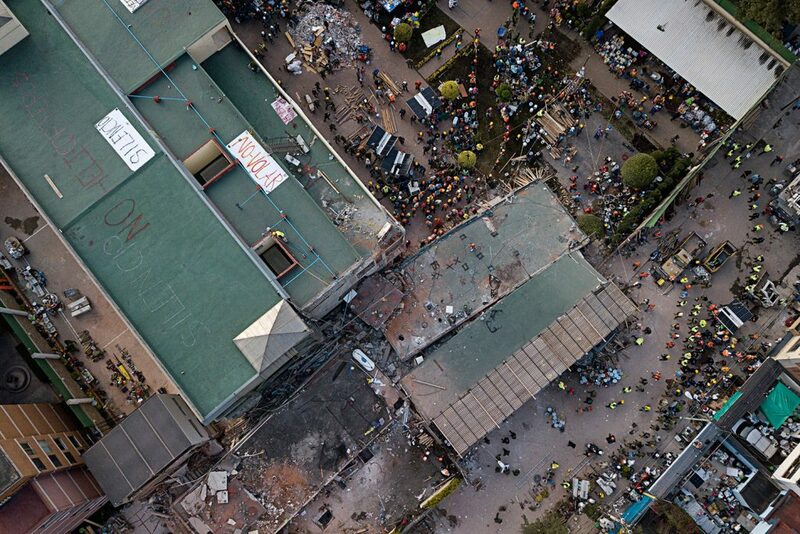 Doctors, dentists and lawyers stood alongside construction workers and street sweepers, handing buckets of debris or chunks of concrete hand-to-hand down the line. Even Mexico City’s normally raucous motorcycle clubs swung into action, using motorcades to open lanes for emergency vehicles on avenues crammed with cars largely immobilized by street closures and malfunctioning stoplights. 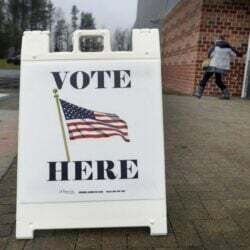 Economist Alfredo Coutino, Latin America director for Moody’s Analytics warned Wednesday of economic disruption to several central states and the capital in particular. 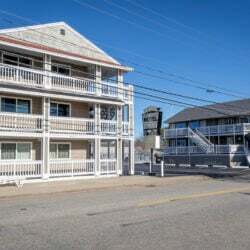 “Though it is too early for authorities to have an estimate of the damage as rescue work continues, it is certain that economic activity … will continue to be disrupted for some time,” Coutino wrote.